Lucifer loves Chloe. She promptly seduces Dan (and they’re kind of fun together – her brutal honesty is cruel and fun) to both have fun… and learn more information. It also puts Amandiel and Mazikeen off the plot because Amandiel draws the line at stalking his mother when she’s making out with a guy. This revelation…. Makes Lucifer stand Chloe up, staying home while she waits in a restaurant. And I can see this – not much shakes the very foundation of reality for an immortal archangel. This is complete re-evaluate your entire reality level thinking: and he’s run away from it. 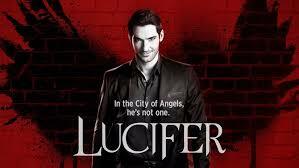 And isn’t this Lucifer’s modus operandi that we’ve seen for the last 2 seasons? The whole reason why he is going to Linda for therapy in the first place is because of how utterly avoidant he is about everything – he completely runs from, ignores or denies any uncomfortable truth. Linda’s awesome work as a therapist is less to analyse him and more to grab the truth about him and make him actually confront it. Unfortunately this leaves Chloe alone – for Charlotte to target.